There is an acceleration taking place in technological innovation that is backed by unprecedented needs in the field of industrial equipment, which includes the development of new infrastructure incorporating Industry 4.0 technologies, and demand for services and equipment utilizing IoT and AI. In this environment, systems are needed that can stably supply highly reliable products to support a variety of manufacturing activities. In addition to providing products that meet these conditions, we are dedicated to contributing to the creation of added value that enables customers to bring their strengths into play in the world market, as well as offering them support as they develop their businesses. 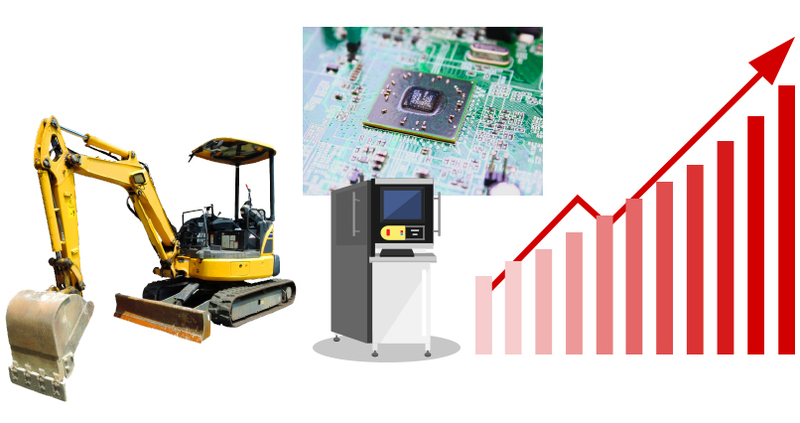 We do business in a broad range of fields, including robotics, factory automation, machine tools, instrumentation, construction equipment, and agricultural equipment. We work to provide comprehensive solutions by proposing modules and systems, not just products. Our proposals integrate the hardware and software related to electronic components.